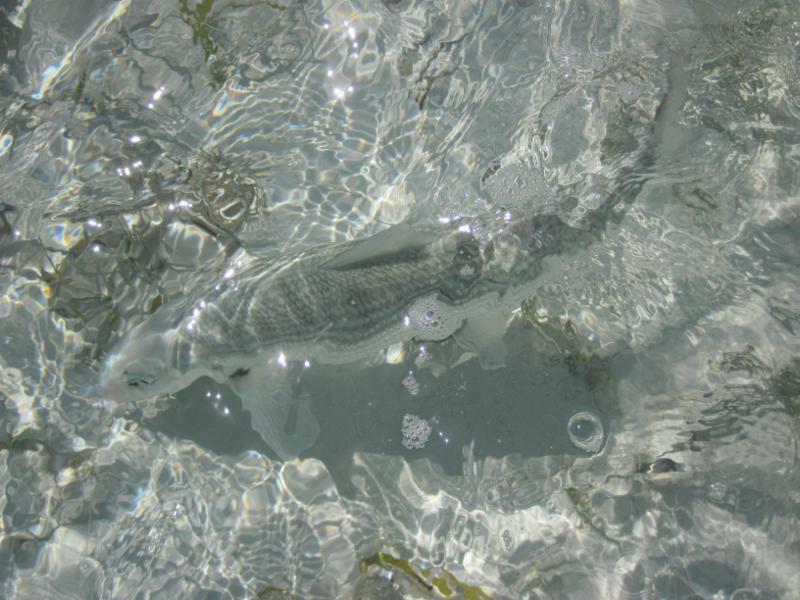 Endless Flats fishing for Bonefish! There is absolutely nothing pretentious about the lodge. We are not a high-end fancy resort. Mars Bay is a fishing lodge for fishermen. We use paper napkins, we won't crack your pepper for you, you'll not find a mint on your pillow, and you will not be greeted at the dock with a hot steaming towel to wipe your brow. You can grab your own beer and mix your own drink the way you like it. And we won't insult you by charging you for every beer, soda, or glass of booze you drink like some very expensive lodges do. It's included in the rate.Think of it as the difference between a stuffy dinner party or a casual gathering with good friends. Bill Howard attends to the details. He is the American owner/operator and has been managing the lodge since it opened in 2002. He catches the fish and lobster for dinner. He maintains all the boats and equipment. He makes all the repairs around the lodge. He installed all the air conditioners and the tile new tile showers. He's a plumber, welder, mason, electrician, mechanic, carpenter, web designer, takes the bookings, does the billing, and arranges your transportation to/from the airport. He orders the supplies, fuels the boat, and carries the coolers. He is hands on and has the reputation as being the hardest working lodge manager in the Bahamas. None of it would be possible without having an excellent staff of cooks, maids, and guides doing their jobs. The lodge has a laid back vibe to but don't let that mislead you. Everything goes off on time as scheduled. One review said the lodge runs like a Swiss watch. The reviews are always the same; great food, great house staff, clean rooms, excellent guides, well maintained boats, great fishing, we'll be back. We are a small lodge with capacity for eight fishermen. We take bookings for singles, doubles, and sets to fill the lodge. Because we are a small lodge it sets up great for groups wanting to reserve the entire lodge. 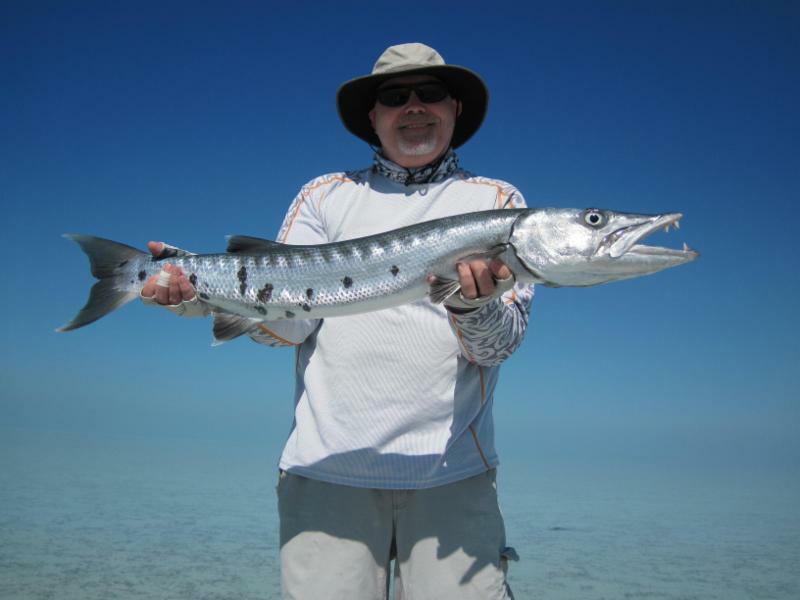 Mars Bay is situated on the southeastern tip of Andros that affords anglers a short and easy skiff ride to pristine flats teeming with unpressured bonefish. 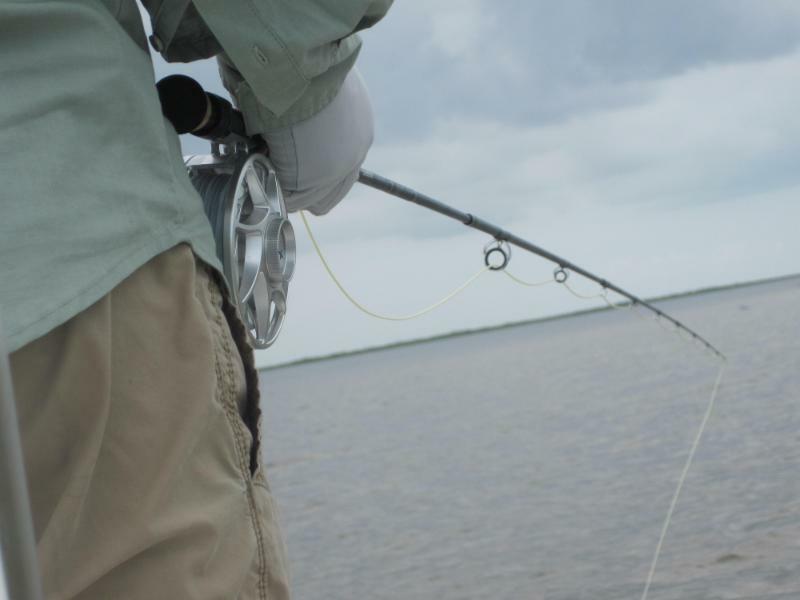 The lodge itself is located on a flat large enough for a dozen fishermen. Mars Bay is the end of the road. To go any further south you will have to hop in a boat. 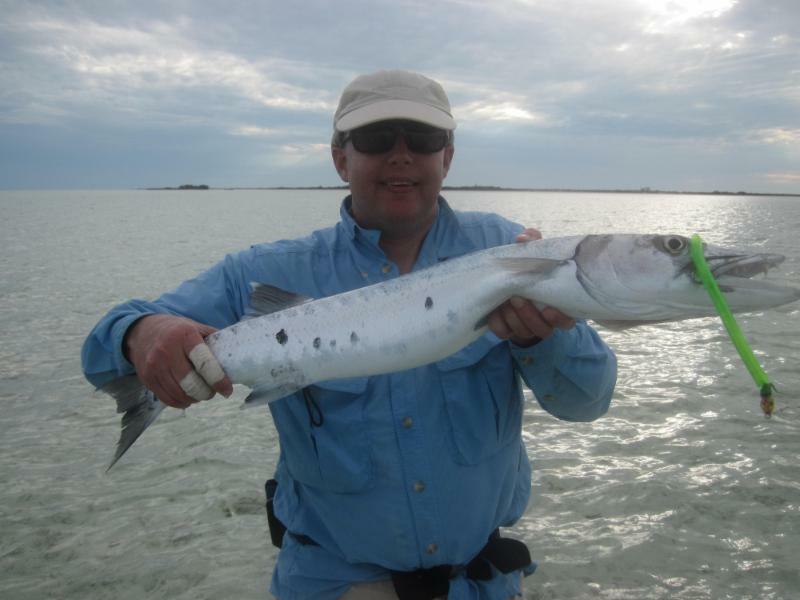 That puts you ten miles closer to the best fishing grounds on Andros than the nearest lodge. What does that mean to you? No less than a ten mile shorter run over rough open water and an extra hour or two fishing each day. By the end of the week you've fished an entire extra day or two. You can expect to encounter everything from large schools, classic sight casting to smaller schools of five to twenty fish in the two to ten pound category, as well as shots at cruising doubles and singles exceeding ten pounds! You will be on the water early and back safely in time for dinner. In twelve years we have never had a boat break down. At the end of the day if you still want to fish or practice your cast you’re welcome to step out onto the flats in front of the villa and fish till dark. We catch bones there on a regular basis. That is assuming the tide isn't up. You will find the accommodations clean and modern, the food is great, the equipment reliable, the guides excellent, and the beer ice cold. We are the most southern located lodge on all of Andros. There are some popular lodges well north of us. IF the winds are light enough they'll take the ocean side route to get to the southern tip, the most desirable fishing grounds on Andros. I have timers to track total run time on all my motors. In other words, I know exactly how long it takes to make that run. Stay at a lodge north of here and you are guaranteed, no less than a five hour boat ride. Did you come to fish or spend most of your day on a long boat ride? Even worse, the winds can blow 10-15 mph for weeks. This creates a natural barrier to the southern tip for lodges north of Mars Bay. It's just too dangerous to cross the big water coming around High Point. Package rates include transportation to and from Congo Town (TZN), room tax, VAT tax, accommodations, wireless internet, meals, boat and guide. * Also included is free wine, beer, and alcohol EXCEPT in the boat. We would prefer you did not drink at all during the fishing day. It's an issue of safety and sometimes.....bad behavior. You are standing on an unstable bow when poling and doing 35 mph on plane in eighteen inches of water. But if you insist the house will buy two beers per person to take in the boat. Additional beers for the boat are $4 each. * Alcoholic beverages in stock are Kalik beer, Bacardi and Mount Gay rum, Gordons and Tanqueray gin, Filandia vodka, Jim Beam bourbon, Dewars scotch, and Frontera table wines in Cabernet, Merlot, Sauvignon Blanc,and Chardonnay. If you would like something in particular such as a bottle of 15 year old single malt scotch or a special bottle of wine you'll have to bring it with you.